Тэс Мат — iOS developer, writer. After having been a printer and DTP operator (Remember those? ), Tes went freelance and designed and developed websites for the Belgian environmental NGO's, for ± 10 years. He then launched http://vocabninja.com/ (was top paid app in Belgium), and also another app he rather not talks about (only 1 star ratings ). Recently he got distracted by the advancements in app prototyping, which he currently teaches with the https://framerbook.com/. — Overview of the different kinds of tools, from click-through (e.g., InVision, Marvel,…) to fully interactive. — Demo of the same onboarding screen built in 8 different tools. — We'll look at: Proto.io, Pixate, Origami, Framer, Form, Principle, Flinto for Mac, and Tumult Hype. — How the different tools work –"GUI", "timeline", "signal flow" or "visual programming" & "code"– and which one to pick. 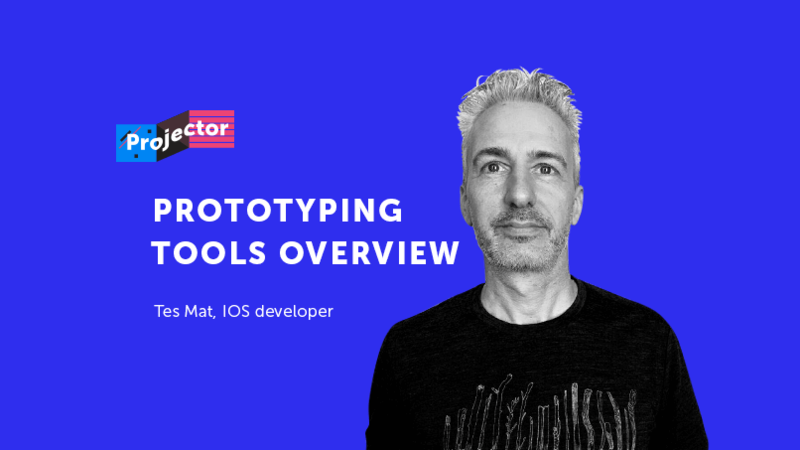 I needed to select a prototyping tool, and as a way to find the best one I recreated the IFTTT onboarding in a few tools and also blogged about it. Then more tools appeared (this field is changing… rapidly) and tried those as well. I picked my favorite: Framer, but yours might be different. And it's actually helpful to have a few different ones in your tool belt. One thing is certain: click-through prototyping tools (InVision, etc.) don't always cut it, animation is becoming more important in mobile apps, and you can't really explain in words all the aspects of the experience you're designing. At the same time, the high-fidelity tools we'll look at are not for prototyping complete apps, but for prototyping micro interactions or animations.